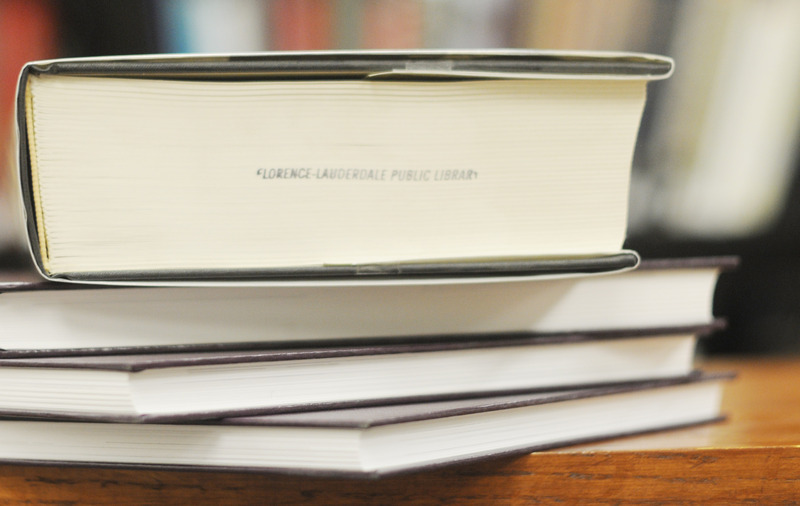 If the Florence-Lauderdale Public Library does not own a book you want, we can try to borrow it for you from another library via Interlibrary Loan (ILL). Anyone with a library card in good standing (no overdues, no fines) may request an ILL. Requests should be made at the Reference Desk on the 2nd floor of the library. Print and fill out the form above and return it to the Reference Department to place an Interlibrary Loan (ILL) request. Please read the following important information before placing an ILL. There is a fee of $5.00 on each item requested to cover postage and processing fees. If a lending library charges extra fees, you will be notified before the ILL is completed. You may request up to three (3) items at one time. You will need to provide the title and author of the item you are requesting, plus any additional information (publisher, date, etc.) that you may have available. As a general rule, libraries will not lend audio-visual materials, microfilm, study manuals, auto repair manuals, rare books, items from their special collections, or genealogical materials. Since materials are coming from other libraries, an arrival date cannot be guaranteed. Allow at least two weeks for the arrival of materials. We will notify you by phone as soon as your requested items arrive, or if your loan request is rejected by a lending library. Requested items are picked up and returned at the Reference Desk on the 2nd floor. Improperly returned materials will result in a $1.00 fine per item. Loan periods are set by the lending libraries and are out of the Florence-Lauderdale Public Library’s control. Since these materials are the property of another library, it is essential that materials be returned on time. Failure to do so may result in the loss of a patron’s ILL privileges. A fine of 50¢ per day is charged for any overdue items.